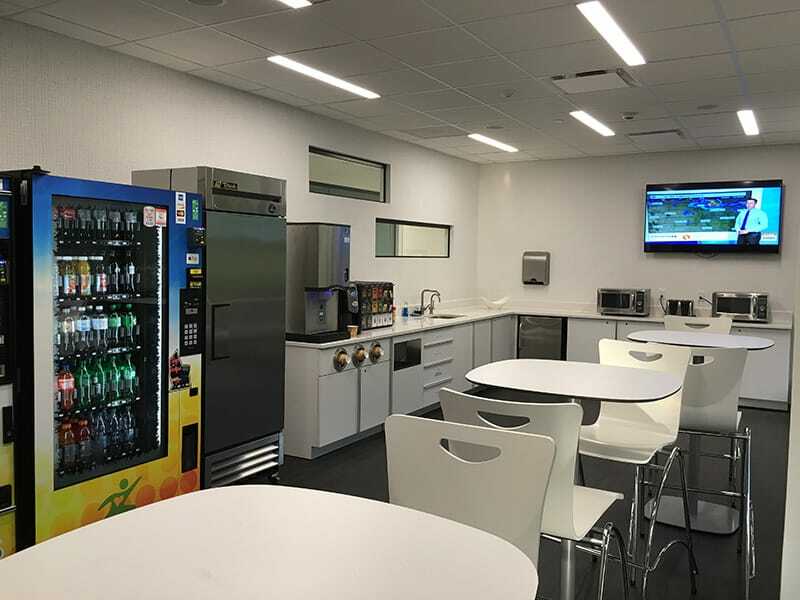 Gilbane enables corporate facilities the flexibility to accommodate changing technology and the foresight to operate efficiently. Client Name: Securitas Security Services USA, Inc.
Gilbane served as general contractor for the renovation of this 82,000 square foot commercial office building. 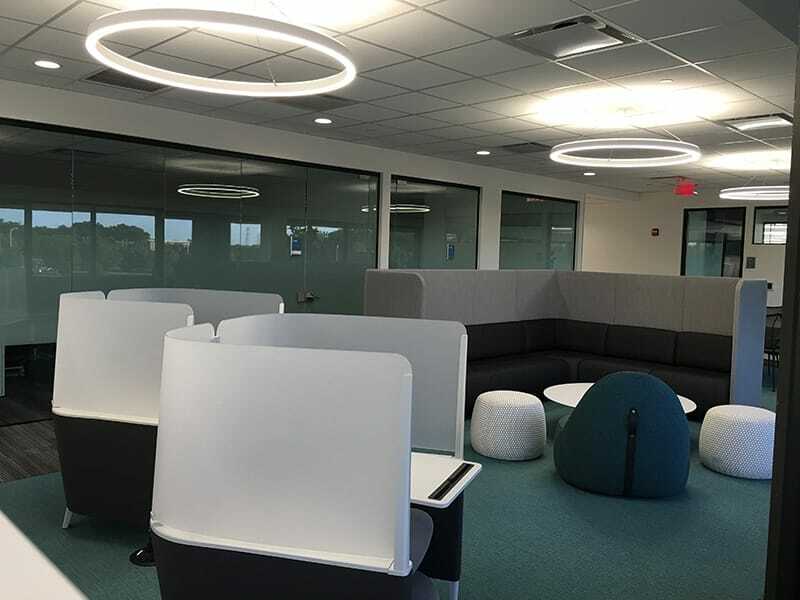 The new space includes private offices, open plan work areas, a mail room, data center, IT support space, conference rooms, and general office support spaces. This new office houses 225 employees on three full floors and a portion of the ground level floor. 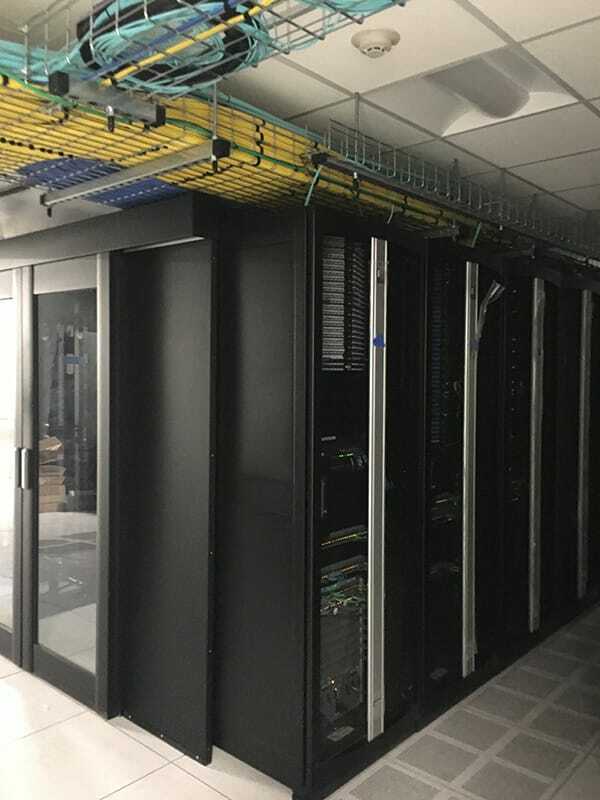 The renovation included a new security and reception desk in the lobby, generator upgrades, mechanical and electrical upgrades for the data center space, new interior office finishes, and glass office fronts. This office space serves as the North American Headquarters for Securitas Security Services so it was vital that it reflected the core values of the brand. Securitas is a leader in protective services and is the most locally-focused security company in the US, with branch locations in every state. Due to the nature of their business, this fit-out incorporated strict security and technical elements to ensure the physical office environment reflected and supported the services of Securitas. The refurbishment also focused on flexibility to account for ever-changing technological advancements that support Securitas’ client services and allow for future-proofing of their office.